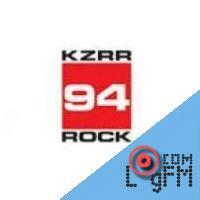 Description: KZRR (94.1 FM, "94 Rock") is a commercial radio station located in Albuquerque, New Mexico, broadcasting to the Albuquerque-Santa Fe, New Mexico, area. Branded as "New Mexico's Real Rock", 94 Rock airs a Mainstream Rock music format, with a majority of its music coming from the '80s. The station, in its current format, is 30 years old and The 94 Rock Morning Show (or simply The Morning Show) has been hosted by TJ Trout for over 25 years. Advertising: . Модернизация заднего борта на автомобиль камаз. At LogFm.com you can listen to any of the 45,000 radio stations online. We have made it easy for you to find your favorite radio, listen to the music you like, find the best new songs, listen to the latest news, etc. Simply type the station name in the search box and enjoy your choice. Listen to the radio online at LogFm.com. Our E-mail: info@logfm.com. Live KZRR-FM (94 Rock Real Rock). Rock and pop music, to listen to the latest news online.All rights reserved. 2009-2019 © LogFm.com.